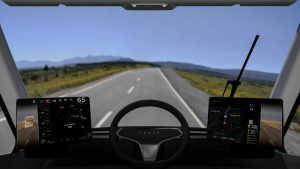 Tesla’s Electric Truck- Brilliance or More Challenge and Distraction? Last week, with his brilliant technical showman flair, Elon Musk unveiled the long-rumored Tesla Class 8 semitrailer truck, representing the latest vision of disrupting conventional transportation. The announcement itself was met with mixed reactions which were mostly centered on the event serving as a distraction to Tesla’s current operational challenges. According to Musk, the electric-powered Tesla tractor will run up to 500 miles on a single charge along with incorporating Tesla’s semiautonomous auto pilot driving system which could allow a collection of trucks to travel in guided convoys. The truck features speed and a sleek non obstructive appearance where the driver sits in the center of the cab. There was a bold claim that this new heavy-duty truck would be cheaper to operate than diesel-powered versions, yet no pricing or overall truck weight information was shared. Availability of this truck was indicated as sometime in 2019, and Tesla is more than eager to take initial $5000 deposits from trucking operators to reserve a unit. Some operators are willing to bet on Tesla, among them being Walmart and J.B. Hunt Transport. The former preordered five tractors for U.S. operational and a reported 10 tractors for Canadian highway transport needs. The latter indicated placement of reservation orders targeted for its intermodal and dedicated contract business units but declined to state the overall number of tractors reserved. Tesla itself may or may or may not be a first-mover in the Class 8 truck segment. Daimler has previously announced its Mercedes Benz Urban eTruck, designed as an inter-city transport truck with 120 miles of battery range, Daimler and Mitsubishi Fuso have also collaborated together to unveil the trailer-less E-Fuso Vision One truck in Tokyo in late October, along with a strategy for a shared electric power-train for every one of its medium-range truck and bus products. The Vision One had a reported driving range of 210 miles and is being targeted for short-haul drayage or intra-city regional delivery work. Other announced models include Kenworth’s Class 8 hydrogen fuel-cell truck, Nicola Motors which has plans for a hybrid fuel-cell and electric powered tractor, and Toyota which is developing a fuel-cell powered drayage truck. Let’s run through some of the challenges related to the Tesla announcement. From a product development and deployment perspective, the ongoing sense of the market centers on whether smaller-class electrically powered inter-city, urban and suburban delivery vehicles with shorter spans of delivery requirements will be more in-demand over the next 2-3 years. That seems reflected in the current collection of new product announcements noted above. The success of an electrically powered heavy-duty truck has obvious challenges related to the availability of fast-charging megachargers among nation highways and truck stops. Current diesel-powered interstate highway tractors can run upwards of 700-1000 miles between fuel stops. Adding additional megacharger deployments requires more front-loaded cash investment, which Tesla does not have currently. The Wall Street Journal observed that that the company burned through $1.4 billion in free-cash in the third quarter. Most of that was required to fund the ongoing production ramp-up for the new Model 3 sedan which is to say the least, not going well. A rather noteworthy disclosure from Tesla was that the electric semi-turck would share some common supply chain components of current Tesla vehicles including the Model 3. That concept bears further investigation since the two market segments present far different operational performance criteria from respective buyers. While on the topic of the Model 3, a very critical learning for Tesla is a realization that high-volume, specialized manufacturing and distribution cannot be sustained under the company’s current operational growth strategies. The high levels of capital required to continuously scale production must be supported and funded by other means beyond advanced reservations and bond markets. Distribution of products on a global scale requires added investments, including the recent announcement indicating that China’s industrial oversight teams are allowing Tesla to take full ownership and IP rights of a planned factory investment in China. 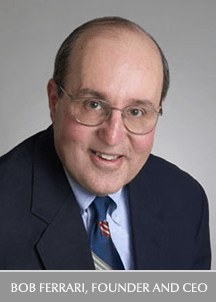 Moving into the engineer-to-customer dominated heavy truck sector adds yet another manufacturing and distraction challenge to a company and supply chain ecosystem that does not need more on its current plate. 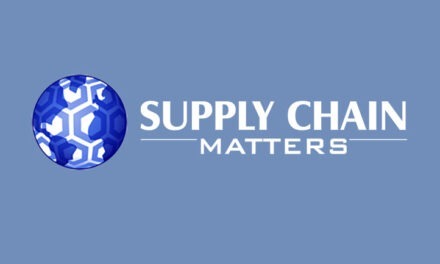 The company would, from our Supply Chain Matters lens, be better served to seek out a strategic manufacturing and distribution partner in the truck equipment sector, one that can add broader operational depth. The Tesla electric truck, once again, pushes the envelope in engineering and thinking related to transportation. However, moving into an entirely different market segment, Tesla needs to seriously consider supplementing its operational and supply chain resource depth.